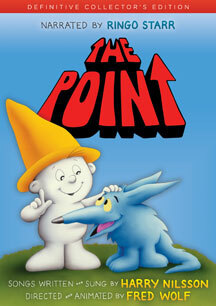 Harry Nilsson's animated classic back on DVD! This Definitive Collector's Edition Includes Four Never-Before-Seen Bonus Featurettes Sure To Entertain, Surprise and Amaze! Never has nonconformity been celebrated with such charm. If there's a fan of Harry Nilsson on your shopping list then rejoice, because in front of you now you see the proverbial no-brainer.